Hello there! 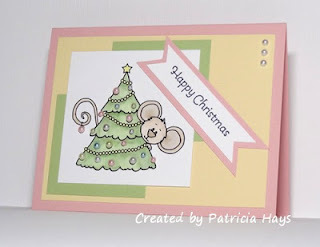 It's Patricia here again, welcoming you to our challenge blog. 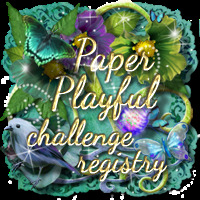 We're glad you've stopped by here today, and we hope you'll join in this week's challenge! 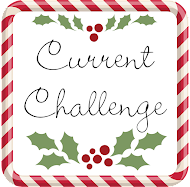 Since it's a relatively rare fifth Saturday of the month, our theme is "Pick a Previous Challenge". 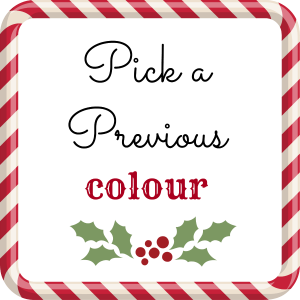 This time we'd like you to choose one of our previous Colour Challenges from the Colours Archive tab and use that to inspire your Christmasy or wintry card. When you share your card with us, please let us know which colour combination you've chosen. Please read the challenge rules carefully before creating your card. The rest of the design team and I are looking forward to seeing what you make! Remember that you have until midnight British Summer Time/7:00 p.m. Eastern time Friday, June 5 to link your card. 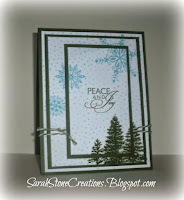 The alcohol ink background Laurie created was amazing! Laurie and Lesley, we hope you'll copy and paste the appropriate blog badge from our Badges tab and display it proudly on your blog. 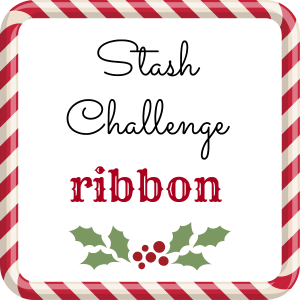 If you haven't yet joined in our current Stash Challenge - Ribbon, we hope you'll make the time to do so! You have until midnight BST/7:00 p.m. Eastern time Friday, May 15 to link your card to our challenge post. Happy crafting! 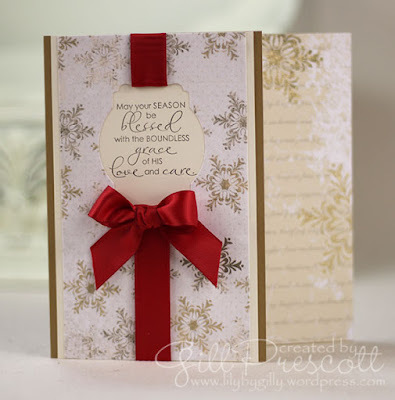 Welcome to 52 Christmas Card Throwdown - where it's Christmas all year long! 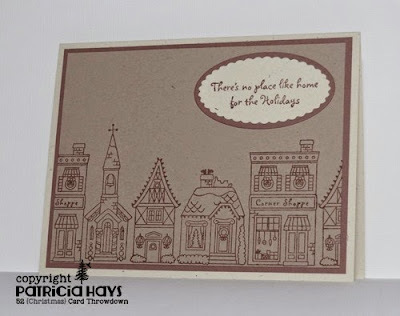 Our goal is to help you create a Christmas card each week, so that you'll have a nice stockpile of cards ready to be sent when the holiday season arrives. It's Patricia here, hosting again this week, and this time I'd like for you to reach in your stash of supplies and show us what you can create with ribbon. 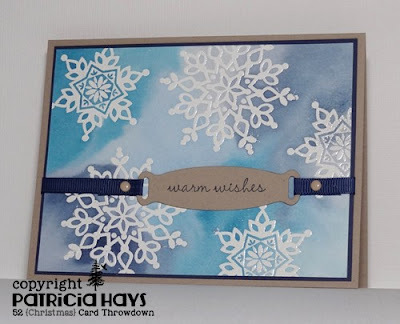 I love the look of ribbon on cards, and I own a pretty large variety of ribbons, but it seems like I rarely think to actually use it on my own cards! It's such a versatile embellishment. Most everyone has ribbon, and there are so many different ways to use it, so we’re hoping to see a lot of great cards this week! Now it's your turn! Please read the challenge rules carefully before creating your card. Then link it here before midnight British Summer Time/7:00 p.m. Eastern time Friday, May 29. We're looking forward to seeing what you make! Hello! 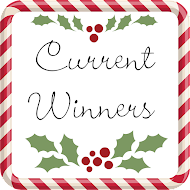 It's Patricia here again to announce the winners of our May color challenge. Either the pastel color scheme was more difficult than I'd anticipated when I chose it (and I apologize if that's the case! ), or many of our challenge participants were busy with other activities that prevented them from joining us last week. If it's the latter, I hope you were enjoying some lovely weather! 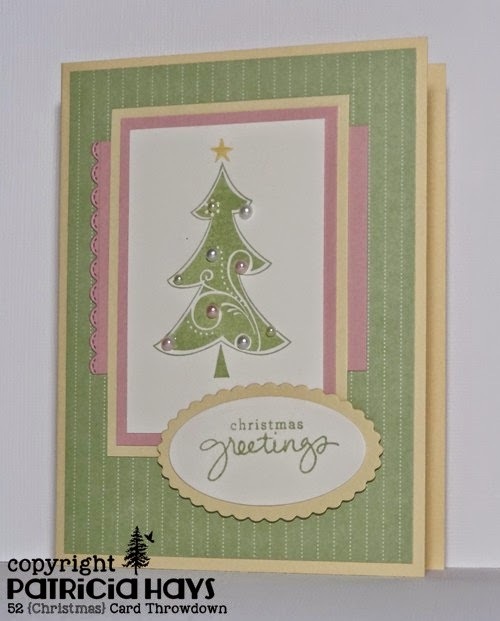 What a simply lovely, elegant way of using the soft pastel colors! 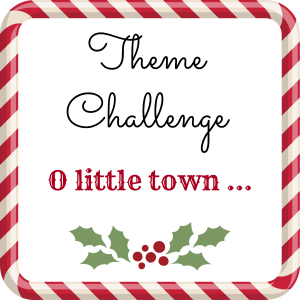 There's still time to join in our current Theme Challenge - O Little Town. We'd love to see your take on it! You have until midnight BST/7:00 p.m. Eastern time Friday, May 22 to link your card to our challenge post. Be sure to come back again Saturday for our May Stash challenge! 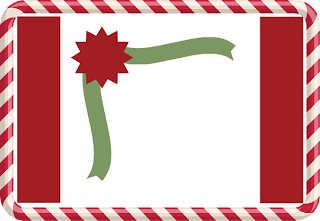 Merry crafting! Hello hello! 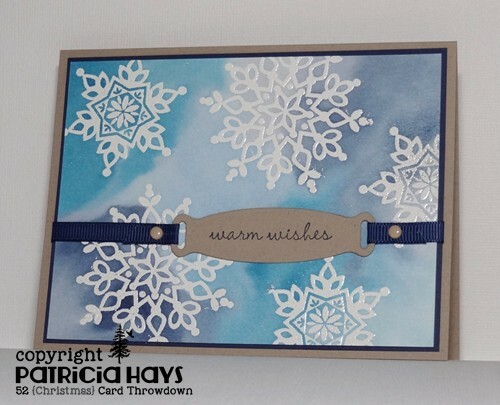 It's time again for a new challenge here at 52 Christmas Card Throwdown. 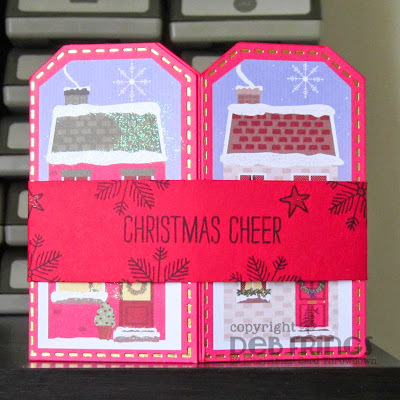 Since it's the third Saturday of the month, we have a theme challenge for you this week: O Little Town. 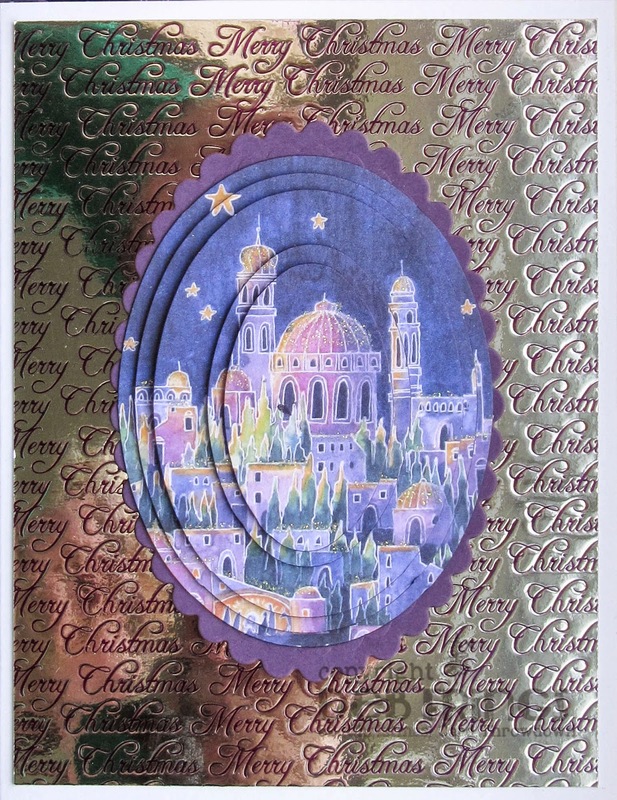 Although the theme was inspired by the Christmas carol "O Little Town of Bethlehem", your card does not necessarily need to depict the holy city. 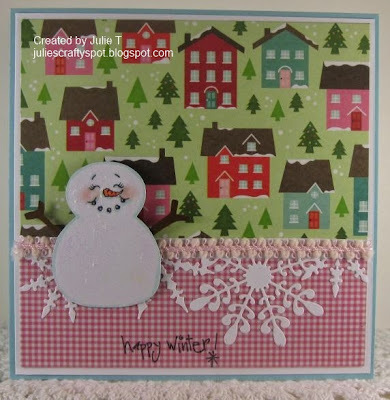 Any wintry or Christmasy scene with several buildings will be suitable. Please read the challenge rules carefully before creating your card. The rest of the design team and I are looking forward to seeing what you make! 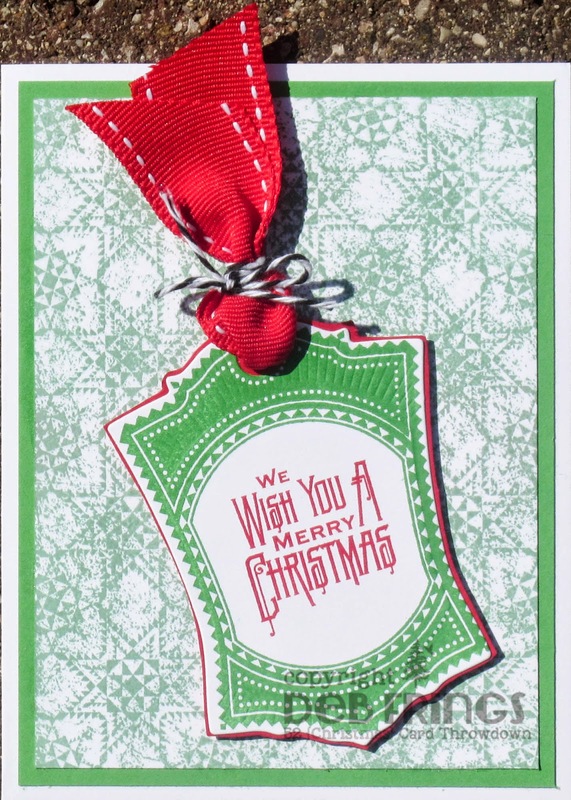 Remember that you have until midnight British Summer Time/7:00 p.m. Eastern time Friday, May 22 to link your card. Congratulations, Chris! 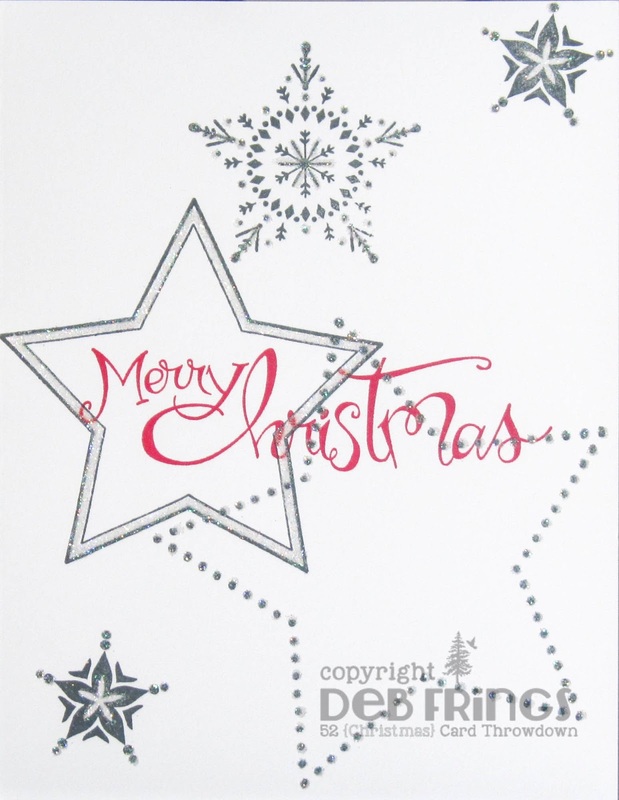 The Design Team loved your inked debossing and the overall traditional Christmasy feel of your card. 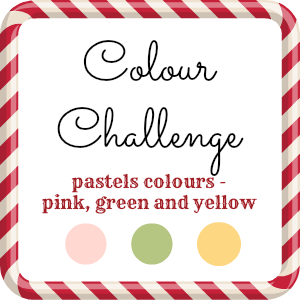 There's still time to join in our current Color Challenge. We'd love to see your take on it! You have until midnight BST/7:00 p.m. Eastern time Friday, May 15 to link your card to our challenge post. Happy crafting! Well hi there! 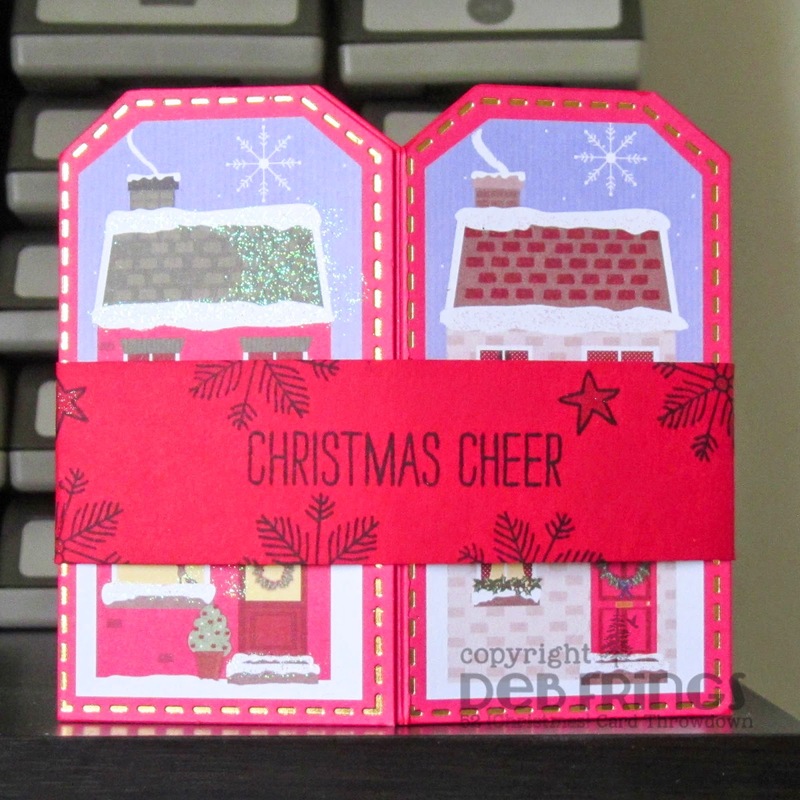 Welcome to 52 Christmas Card Throwdown. Tomorrow is Mother's Day in the United States, so we'd like to wish a wonderfully happy day to all the mothers here, whether your child is still young, has grown to adulthood, or perhaps has four legs and fur. 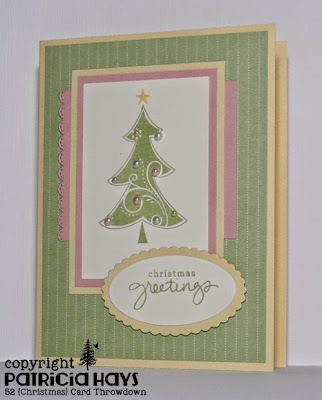 For reference, comparable Stampin' Up colors include Pink Pirouette, Blushing Bride, Certainly Celery, Pistachio Pudding, Barely Banana, and/or So Saffron. 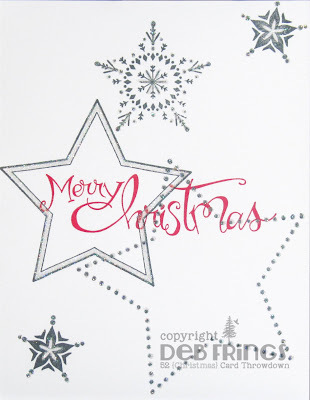 However, Stampin' Up products are not required for our challenges. Just use whatever you have in your crafting supplies that's close to these colors. You may also use white, cream, gold, silver, kraft, or black as neutrals for your card base, as embellishments, or as ink colors for outline images or sentiments. 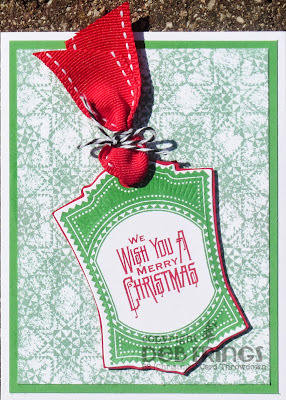 However, the colors from the graphic should be the main colors used on your card. Please read the challenge rules carefully before creating your card. On behalf of the Design Team, we're all looking forward to seeing what you make! Remember that you have until midnight British Summer Time/7:00 p.m. Eastern time Friday, May 15 to link your card. Congratulations ladies - your cards are simply beautiful! You may pick up your badge from the tab at the top of the blog and display it on your blog.